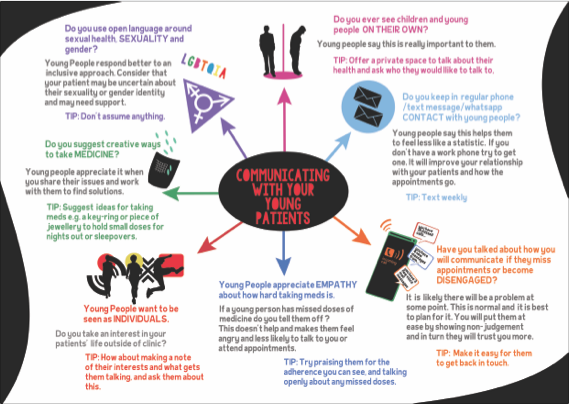 Produced in partnership with the CHIVA Youth Committee (Children and Young People growing up in the UK with HIV aged 12 to 18) this infographic resource is designed for clinicians working with young people and aims to improve communication between adults and young patients. There are several topics areas such as communication, sexual health, adherence and medicine, and empathy. This resource can be used as an aid to good communication with young patients in a health clinic setting.